After Deryck Murray and I discussed my participation in this Conference, I thought that I should focus my address on some Islands in the northern Caribbean rather than Barbados, my own country. Accordingly, I wish to share some insights into the role and function of the Integrity Commission of the Turks and Caicos Islands (TCI) over the last 4 years. I trust that you may find them instructive and relevant to today’s discussions. As you may know, the territory of the TCI is one of 14 U.K. Overseas Territories. It consists of an archipelago of small islands, south of the Bahamas Chain and about 612 miles south-east of Miami and 90 miles north of Haiti and the Dominican Republic. The territory comprises some 40 islands and cays. The whole land area is about 190 square miles and the total population is about 36, 000 (excluding many illegal immigrants from Haiti). On many of the Islands are high quality tourist developments and expensive private homes. The Islands are not constitutionally part of the U.K. They have enjoyed varying degrees of self-government over the years, subject to oversight from the U.K. exercised through a Governor. The TCI have their own Constitution by virtue of an Order-in-Council made on 13 July 2011. The Governor acts in consultation with a Cabinet but certain matters, such as defence, external affairs and regulation of international financial services are reserved to the Governor. There are two main political parties: the Progressive National Party (PNP) and the People’s Democratic Movement (PDM). In July 1986, soon after Sir Louis handed in his report, the Constitution was amended to suspend Ministerial Government temporarily. Sir Roy Marshall then headed a Commission to consider possible future amendments to the Constitution. The Marshall Commission’s Report (December 1986) paved the way for a new Constitution in 1988 and the restoration of Ministerial Government. A new Constitution was enacted in 2006 revoking the Constitution of 1988 but that Constitution lasted for barely 5 years. At the end of fiscal year 2007/2008, the public deficit was $38 million. The U.K. Foreign Affairs Committee took note and investigated. It received a plethora of prima facie evidence of large scale corruption among the political class and voted in favour of Enquiry. Within a month of publication of the Report of the Foreign Affairs Committee, the Governor established a Commission of Enquiry on 10 July 2008. Sir Robin Auld was appointed to conduct the Enquiry. 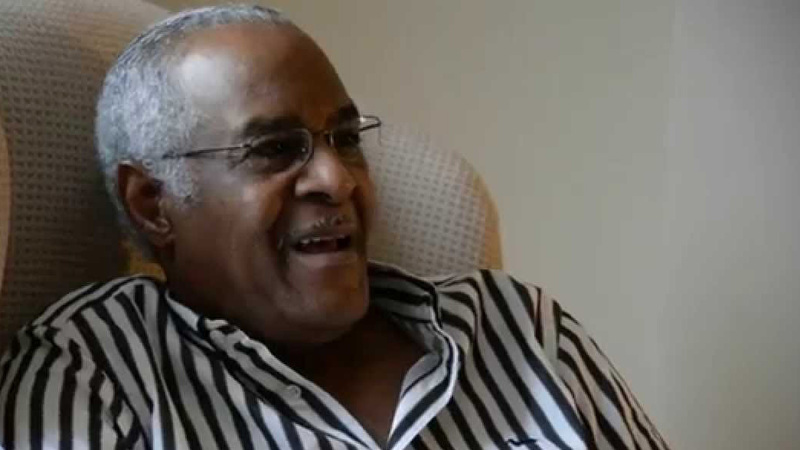 Sir Robin was required to inquire into “whether there is information that corruption or other serious dishonesty in relation to past and present elected members of the TCI House of Assembly may have taken place in recent years.” He was also mandated to make findings concerning, inter alia, the instigation of criminal investigations by the police or otherwise. There was information of possible corruption which was recommended for criminal investigation by the Police and prosecution if warranted. A Special Investigation and Prosecution Team (SIPT) was brought together to investigate the myriad of matters to which Sir Robin Auld had drawn attention. In the result, the Premier, Mr. Michael Misick, four Ministers and a number of other persons, including lawyers and private sector investors, have subsequently been charged before the courts criminally. With respect to the governance of the TCI, the Auld Commission recommended, inter alia, cessation of Ministerial Government, dissolution of the House of Assembly and direct rule by the Governor assisted by an Advisory Council. The Auld Report was submitted to the Governor on 31 May 2009 and those recommendations were swiftly implemented. The British Government took back the governance of the Islands from the local Islanders. The stench of corruption was overpowering. It was in those circumstances and against the background of the Auld Report that the new Constitution (2011) and the Integrity Commission came into being. Although the House of Assembly had passed the Integrity Commission Ordinance in 2008, it did not come into force until May 2010 when five Commissioners and I were sworn in as the Integrity Commission. Broadly, our mandate is to promote and secure the integrity of persons in public life in the TCI. ‘Persons in public life’, include the Deputy Governor, members of the Integrity Commission, Members of the House of Assembly, Permanent Secretaries, Heads of Department and senior officials of statutory bodies. The Ordinance is a contemporary and comprehensive piece of legislation, drawing upon models existing elsewhere in the world, notably Hong Kong, and the Integrity Commission is enshrined in the new Constitution as one of the institutions protecting good governance. (a) To receive and keep on record all declarations forwarded by persons in public life. The income, assets and liabilities of such persons, their spouses and children must be declared every two years. (g) To advise, assist and instruct management of public bodies of changes which may help to reduce corruption. 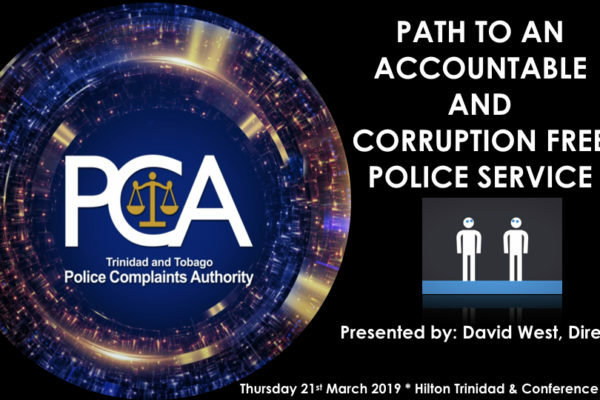 In a word, the primary responsibility of the Commission is the promotion of integrity, honesty and good faith in the TCI. ● Executive powers enabling the Commission to investigate, arrest and charge persons for corruption. For two years the Commission carried out its core functions as I described earlier. Then, in 2012, we suddenly found our responsibilities expanded by the Constitution and a new Ordinance (the Political Activities Ordinance), both of which came into force in 2012. In anticipation of new General Elections to return the Islands to Ministerial Government and, following the recommendations of the Auld Commission, the British Government instructed the Governor to prepare for the introduction of legislation to regulate political parties and election campaign financing. The functions of the Commission were therefore extended to vest responsibility for these regulatory matters in the Commission. Thus, when General Elections were held in November 2012, the Commission played a pivotal role. Let me now give you some idea of the ways in which the Commission’s functions were enlarged in order to regulate political parties and election campaign financing. The Political Activities Ordinance entered into force in August 2012 – a mere 4 months before the General Elections. Its objective is to ensure greater accountability from political parties. It is based upon a U.K. statute viz. the Political Parties, Elections and Referendum Act, 2000 and is the first enactment of its kind anywhere in the Caribbean. This Ordinance provides for the registration of political parties and their office-holders with the Commission. Part III enacts accounting requirements for registered parties. Political parties are under a duty to keep accounting records showing, for example, from day to day, all sums of money received and expended by the party and the details of income and expenditure. The Commission determines the financial year of a registered party and the Treasurer of the party must have accounts prepared for each financial year. Where a party’s gross income or total expenditure in a financial year exceeds $500, 000, the accounts must be audited by a qualified auditor. There is provision for the Commission, in certain cases, to make copies of statement of accounts available for public inspection. Part IV of the Political Activities Ordinance seeks to control donations made to political parties. “Donations’ includes gifts of money or property, sponsorship, subscriptions to the party; money spent in paying party expenses; money lent to the party otherwise than on commercial terms. Sponsorship and defined expenses are all defined in the legislation. With a view to ensuring that parties receive only legitimate or ‘clean’ donations, there are restrictions upon the kinds of donation which parties can receive. For example, a party must not accept donations if the identity of the donor cannot be ascertained or if it is suspected that the donation represents the proceeds of unlawful activity. The maximum permitted donation is $30, 000. The rules relating to donations are very extensive and it would be too time-consuming for me to go through them here. But I should say that Treasurers of parties must prepare donation reports every 6 months. During an election period, these reports must be done on a weekly basis and sent to the Commission which maintains relevant registers. As is the case with donations, the provisions relating to campaign expenditure are very detailed and complex. They seek to regulate expenses other than those expenses of candidates which are usually included in a candidate’s return of election expenses. Because of the detailed and complex requirements in relation to campaign financing, parties are authorised to appoint deputy Treasurers to assist the Treasurer. No campaign expenditure is to be incurred by a political party unless authorised by the Treasurer or a deputy. The Ordinance prescribes financial limits to be incurred by or on behalf of a party. For example, the limit in respect of most electoral districts is $30, 000 for each district contested. The party leader’s limit is $100, 000. Where campaign expenditure exceeds $250, 000 for the party, a report must be prepared by a qualified auditor. I need not emphasise that all of the Ordinances of which I have spoken impose very heavy criminal or civil sanctions for their breach. I have sought to give you a flavour of the legislative attempt to control the financing of election campaigns. My own view is that the legislation, imposed from the U.K. and reflective of U.K. culture is unnecessarily detailed for the TCI. But having said that, I must confess that it worked well for the 2012 General Elections. I think that we were able, as a Commission, to implement the Political Activities Ordinance because, first, we contracted staff dedicated only to the implementation and operationalising of the Ordinance and, secondly, we undertook a robust public education programme. This involved interfacing with the political parties and independent candidates and making available to them Guidance Notes. Before I conclude, I must also let you know that, under s.102 of the Constitution, the Commission, following consultations throughout the inhabited Islands, formulated and published a Code of Conduct for Persons in Public Life. It is a document of some 53 pages. Included as Appendix A are the Nolan Principles – the Seven Principles of Public Life viz. selflessness, integrity, objectivity, accountability, openness, honesty and leadership. Appendix B is a Guide to identifying, avoiding and managing Conflicts of Interest. 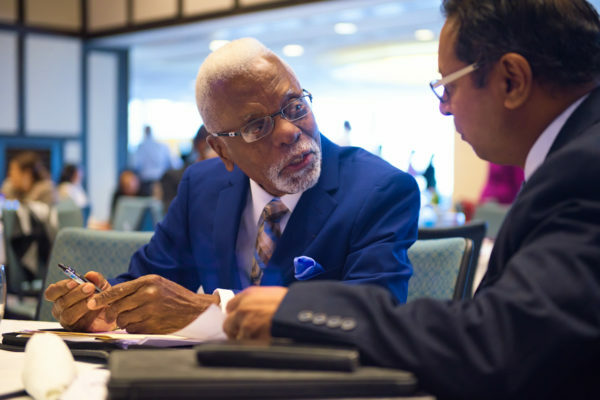 We were greatly assisted in drafting the Guide by the “Principles of Integrity for Persons in Public Life and those exercising public functions” which were published by the Integrity Commission of Trinidad and Tobago. As part of its expanded functions, the Commission is responsible for monitoring and enforcing compliance with the Code of Conduct by all persons in public life. • Any other substantial interest which may give rise to a material conflict between the Member’s private interests and public duties. Since the General Elections of 2012, the Commission has examined the statements filed by Members of the House of Assembly and found them to be accurate and in order. For his role in that transaction, Mr. Hoffman faced the likelihood of prosecution but he has settled possible prosecution by paying millions of dollars in compensation to the Government. My message to you is that, if there is the political will, a country can seek to control corruption by the enactment of appropriate legislation. Defeatist attitudes of laissez-faire and complacency are contrary to the public interest. The law must seek to prescribe the minimum content of appropriate political conduct to ensure good governance in the best interests of the people. 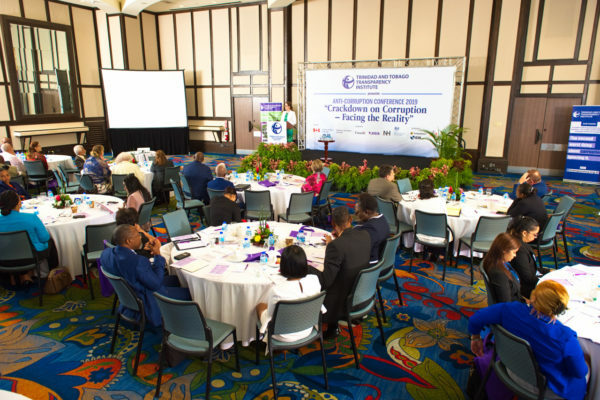 A small Caribbean jurisdiction has shown that it is possible to seek to regulate the conduct of politicians and public officials by statutory intervention. In particular, where no specific legislative control of election campaign funding exists, this deficiency can be cured by relevant legislation. All countries in this region have legislation which prohibits bribery and treating at elections. But this type of legislation is honoured in the breach. What is required is stiffer legislation which calls for proper accounting by political parties to restrict the use of political parties as a medium for facilitating corruption in its many guises. Legislation which requires the publication of the amounts of all purported donations and the identities of the donors and donees goes a long way towards the achievement of good governance. I am, however, not so naïve as to believe or suggest that legislation is a panacea. It is not. It is a facilitator and a regulator. At the end of the day, it is the personal integrity of politicians and public officials which determines corruptibility or incorruptibility. I am happy to report to you that the Integrity Commission’s experience of monitoring, managing and operating the new legislation during the November 2012 General Elections was entirely satisfactory. The extensive education programme which we undertook to assist the political parties in understanding and operationalising the new legislation proved to be most beneficial to all concerned. The General Elections of November 2012 and an ensuing By Election, were free and fair and attracted a record turnout of voters. The Commission subsequently published the campaign expenditure of the political parties and, I am told by persons in the TCI, that there was a stark and unprecedented reduction in campaign expenditure. Another remarkable feature was that some private sector donors actually wrote to the Commission informing us as to the quantum of their donations to the political parties. I will end this address by telling you that, following the publication of the Auld Report, the TCI’s economy went into a severe slump. Investor confidence diminished and tourism declined. However, since the implementation of the new legislation, the holding of General Elections, the return of Ministerial Government and, most importantly, settlement of some cases of suspected corruption, the economy has started to grow again. Without being immodest, I believe that the work of the Integrity Commission has also contributed to a feeling that best practices in governance are being pursued vigorously in the TCI and valiant efforts are being made to securing the international reputation of the TCI as a clean jurisdiction.